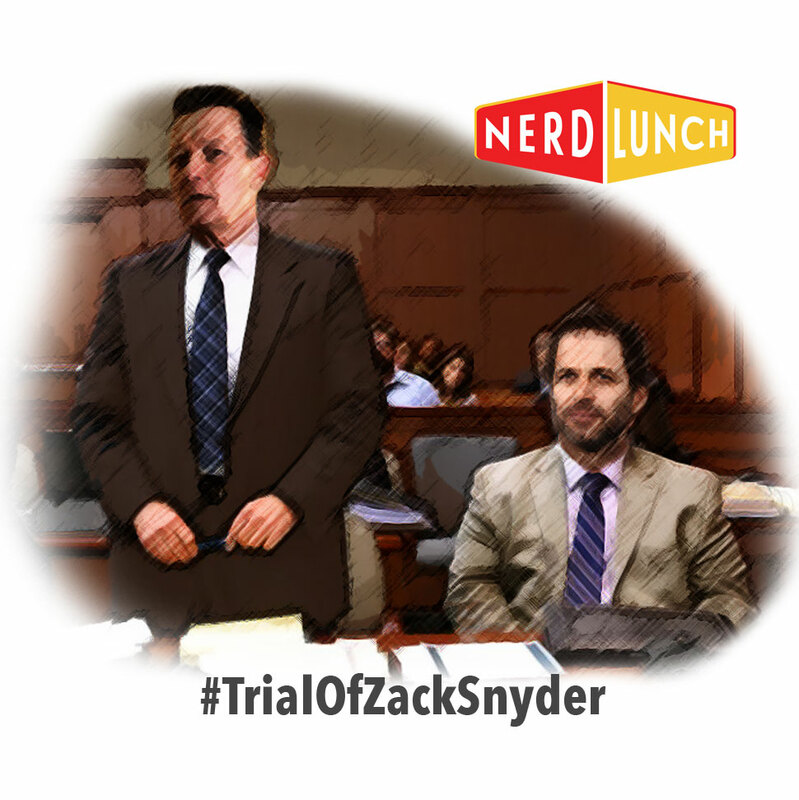 The Nerd Lunch court is called back into session and this time, director of Man of Steel, 300, Sucker Punch, The Watchmen and the upcoming Batman v Superman, Zack Snyder, is being put on trial for his crimes against entertainment. Is Snyder a hack or does he truly have a vision? Evan Hanson prosecutes, Nerd Lunch’s very own PLee defends while Andrew Bloom of the Classic Film Jerks judges. Jon Cross from the After Movie Diner and Robert Zerbe of To The Escape Hatch are called as witness in this historic trial. Listen now!